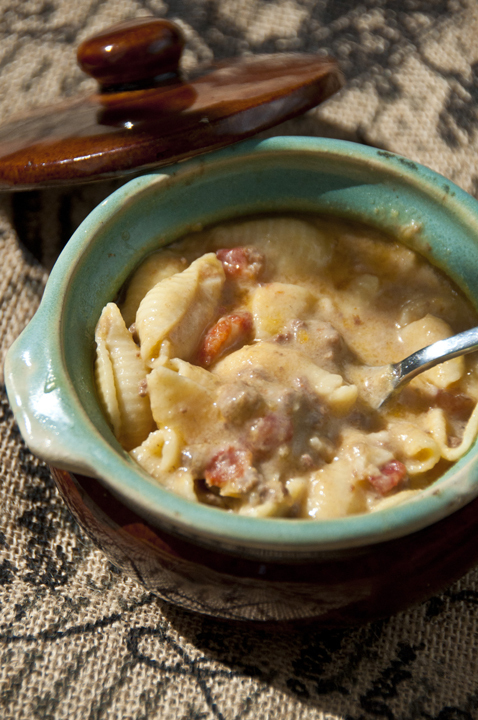 If you love a good cheeseburger as much as I do, you will love what this Crock Pot Bacon Cheeseburger Soup brings to the table (no pun intended). I often post about cheeseburgers on my Instagram page- they are such comfort food for me! 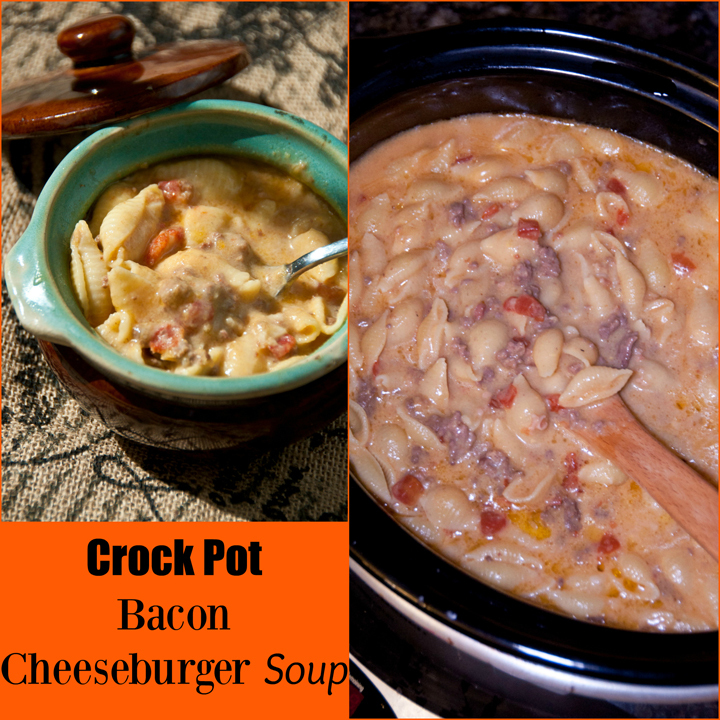 This Crock Pot Bacon Cheeseburger Soup will quickly become a family favorite in your house – I promise. It’s loaded with flavor and once you brown the beef and onions, the slow cooker will do the rest of the work for you. The flavors come together so nicely in this soup! I have heard so many people say that they never use their crock pot in the warmer months, but I recently discovered how it actually makes SO much more sense to use it when the weather warms up. This is the best way to keep your kitchen (or entire house in my case) from heating up as a result of that oven running for hours! Don’t save it up for the fall and winter, people. Slow cooking is the best way to still get those meals on the table while you’re out of the house all day at work or wherever you may be (shopping?). OK, so this is obviously not the healthiest soup in the world but if you’re looking for a meal so full of flavor that you won’t be able to stop yourself from going in for seconds, this is the soup for you. Also, I can almost guarantee no complaints from the picky eaters in your family. Enjoy! Crock Pot Bacon Cheeseburger Soup is a super easy recipe to make right in your slow cooker and will hit the spot any time of the year! In a large skillet, add the ground beef and onion and saute/brown until meat is no longer pink. Break up the beef with a wooden spoon as it cooks. Add garlic and saute until fragrant, about one or two minutes, then season with salt and pepper. Drain excess grease from the pan. Add ground beef to crock pot/slow cooker (mine is 6 quarts). 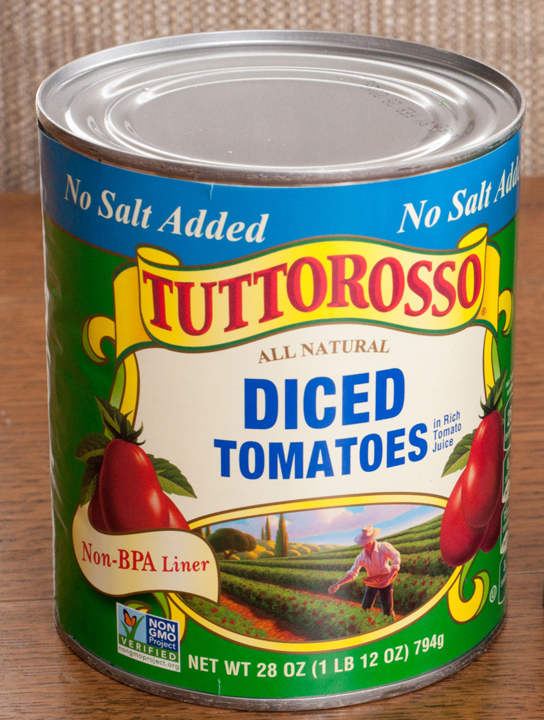 Add in half of the can of the tomatoes (don't drain - try to get half the juice as well), water, worrcestershire sauce, and chicken stock. Stir. Add in the cooked bacon. Stir. Thirty minutes before serving: Whisk together the heavy cream and flour in a small bowl until no clumps remain (this is to thicken the soup). Whisk this into the soup. Add in the cheese and stir until it's melted. Cook on low for 25-30 additional minutes. While that’s cooking, bring a large pot of salted water to a boil. Add in the pasta and cook according to instructions on box. Drain and add to slow cooker. Stir to combine. Serve the soup hot with extra cheese and bacon crumbles (and sour cream or chopped up dill pickles if you're feeling adventurous!) on top of each bowl. *Leftovers will thicken a lot as they sit in the fridge. To reheat, add a little water or extra chicken stock. I could sure use a big bowl of this on a rainy day like today. It looks super comforting! 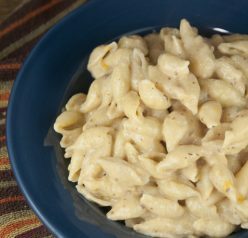 So creamy and cheesy, this will definitely be a crowd-pleaser in my house! 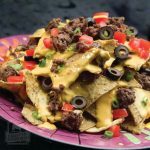 I love that this comes together in a crockpot and I LOVE that this is such a wonderful combo of such delicious flavors! I eat soup all year long and I absolutely love how amazing this looks! This looks so good, pure comfort! That’s everyone’s dream dinner, I think. Easy to make and full of flavour! I agree about using the crock pot in the warmer months — anything to keep the kitchen cooler is a must! Anyway, this looks seriously good. Great idea! Thanks. This looks so creamy abd delicious…and I know it would go over well in my house! Not weird at all! I love pickles! Cheeseburger soup! How fun is this! I never used to use my crock in the warmer weather and now I sooo see the benefit! Keeps the kitchen so much cooler!! Girrrrllll this looks soooooo cheesy comfort good! This is my kind of soup! And I know my boys would love it, too! 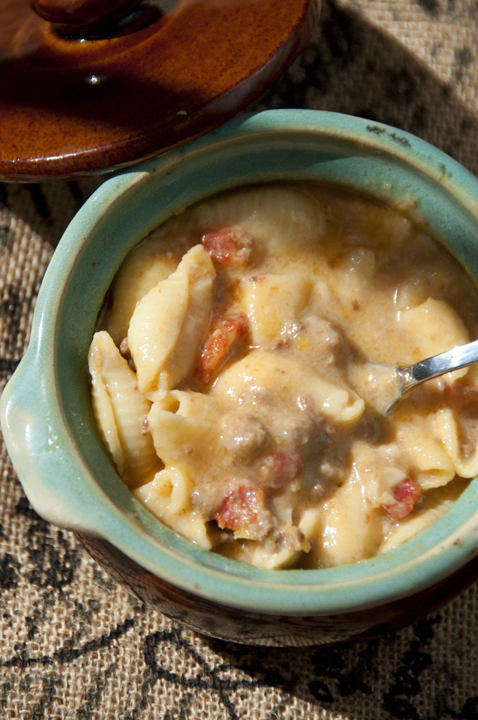 This is great comfort food that my husband will love! 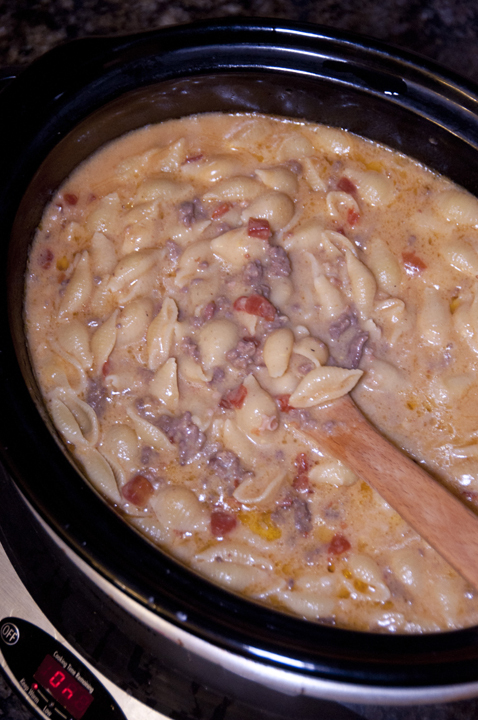 I make a cheeseburger soup that my kids just love, but it doesn’t have bacon or noodles! I’ll have to try this version! I’m sure it doesn’t make a lot of difference, but when does the Worcestershire sauce go in? Pasta is a big no-no in my house, so I will probably pile in more ground beef and leave the noodles out . 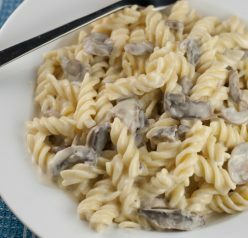 I can’t find when/if you add the Worcestershire sauce. Is it included in the soup? Holly, thank you for catching that! I updated it!